Anatech Electronics is a US manufacturer which offers the industry’s largest portfolio of high-performance RF filters and related products covering the range of 10 KHz to 40 GHz. Anatech Electronics products are used in military, commercial, aerospace and defense, and industrial applications throughout the world. Many geared specifically to wireless communication, such as LTE, GSM, WCDMA, GPS, UMTS, WiFi, Cellular, etc. 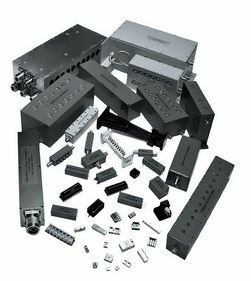 Anatech Electronics also provides tailored solutions to fit custom requirement.